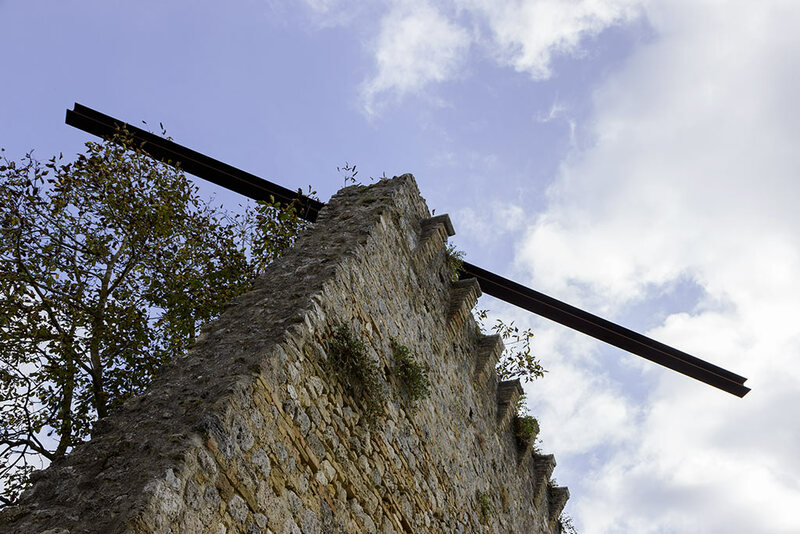 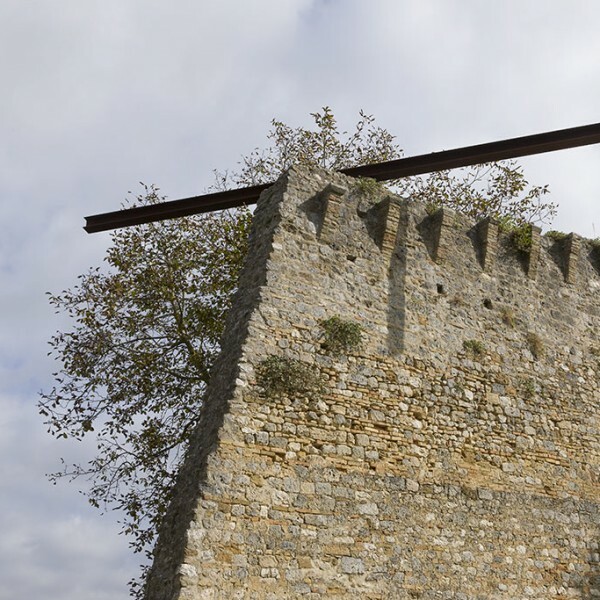 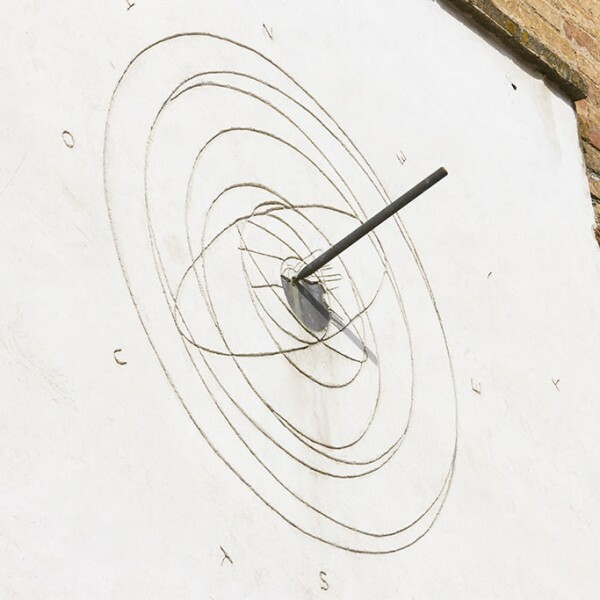 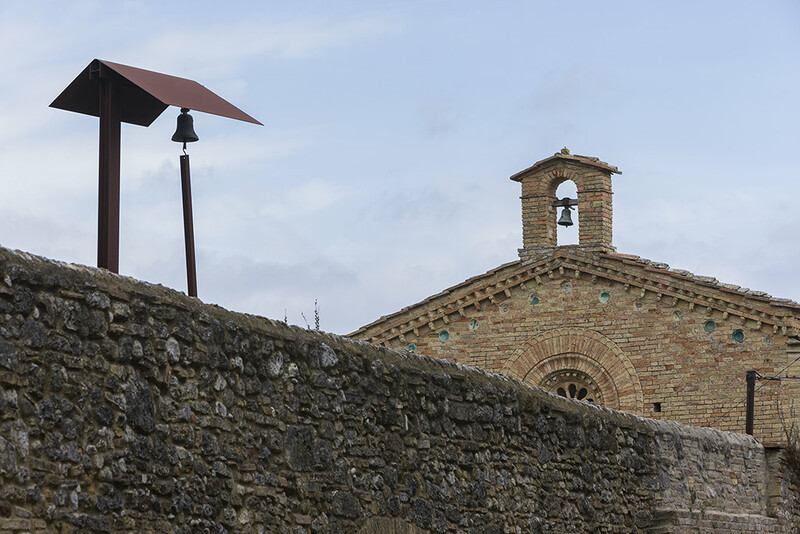 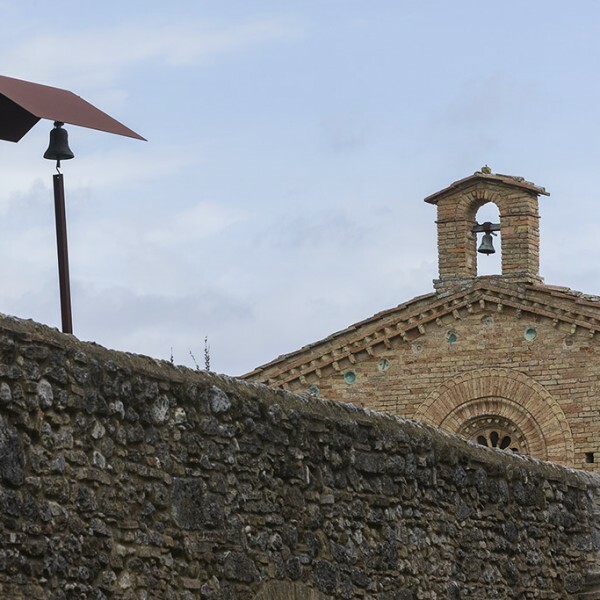 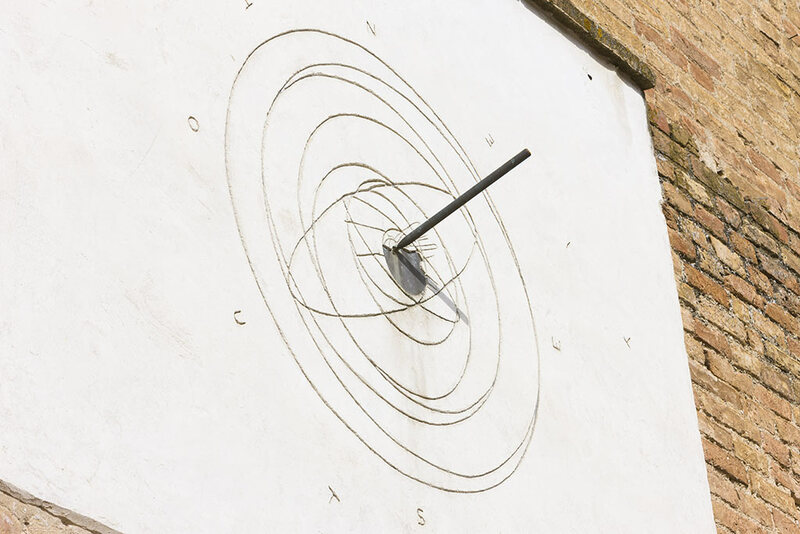 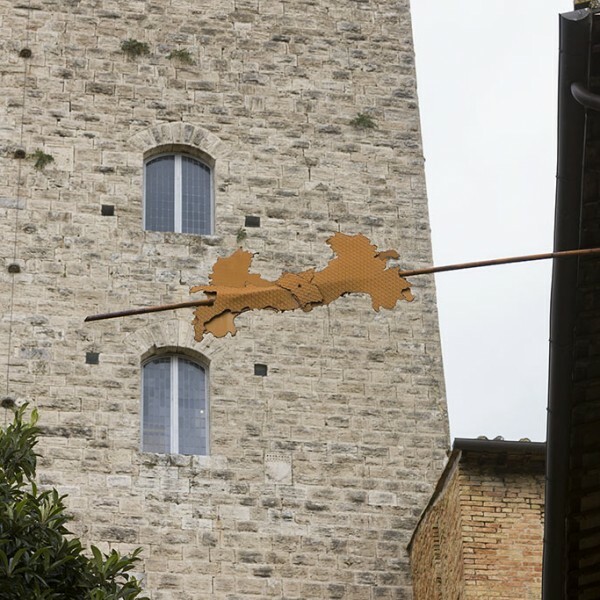 Affinità, a project curated by Giuliano Briganti and Luisa Laureati between 1991 and 1994, involves works that appear unexpectedly throughout San Gimignano, intended to offer a more “active” and less postcard-like experience of the famous medieval town. 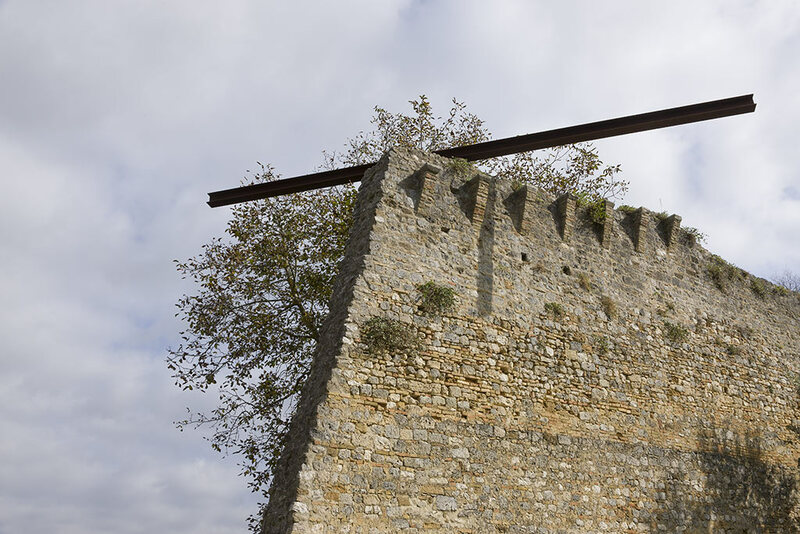 The art takes the form of “infiltrations” (R. Fuchs) of the contemporary in public spaces. 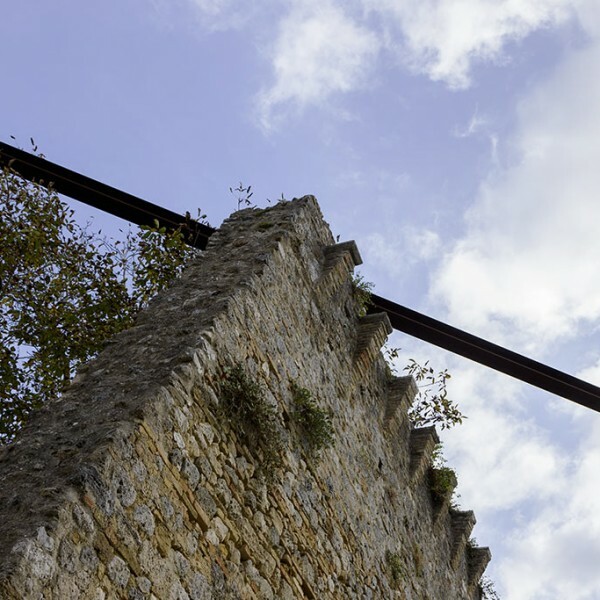 Eschewing the monumental, the works are intended to reinvigorate outlying or decaying parts of town or to revitalize the cultural and aesthetic value of certain sites. 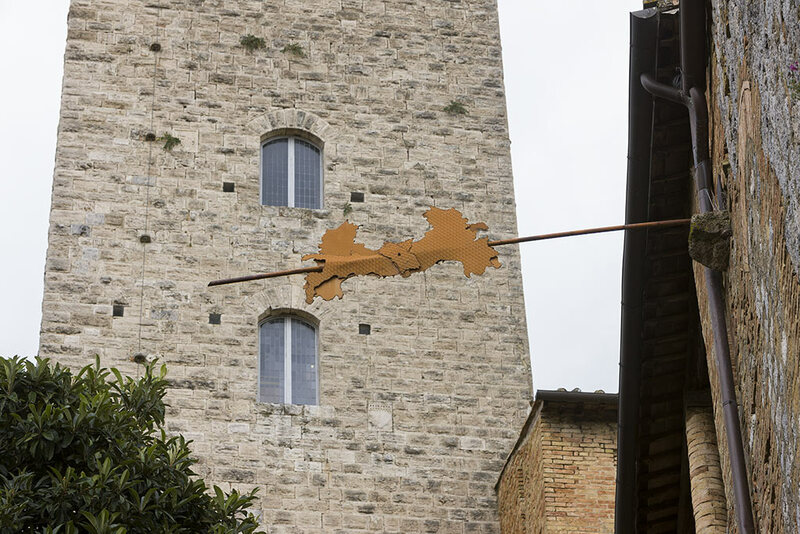 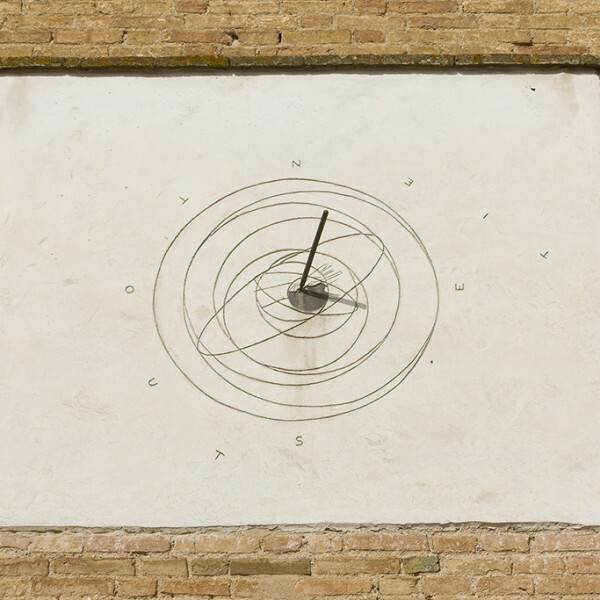 The pieces, by five Arte Povera artists, can be seen in the church of San Jacopo (Kounellis’ San Gimignano), the church of Sant’Agostino (Paolini’s Meridiana), on the vault of vicolo dei Bongi (Nunzio’s Senza titolo [Untitled]), in Palazzo del Podestà (Fabro’s L’Italia all’asta [Italy on Auction]), and on a spur of the Rocca (Mattiacci’s Equilibrio compresso [Compressed Equilibrium]). 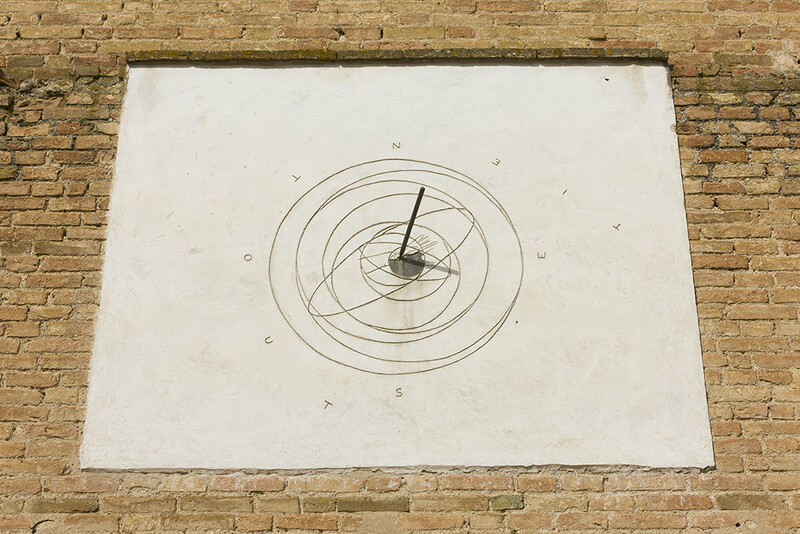 A room in the Galleria De Grada displays sketches, photographs and letters documenting the Affinità project.